I've always had a morbid fascination with the Holocaust. I'm neither Jewish nor do I fully understand the whole despicable atrocity. But, after visiting Dachau, I've never been the same. With an aching heart, a bamboozled mind, and many tears, I've read what I have in an attempt to "get it". I still haven't got it. I doubt I ever will. 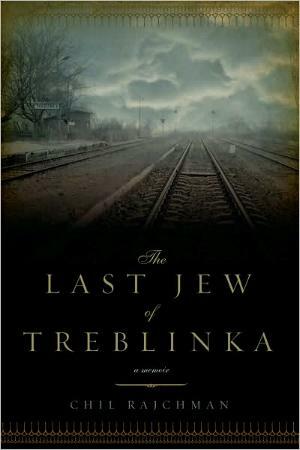 However, there are many stories I'll never hear but am privileged to have "heard" Mr. Rajchman's harrowing account of his year at Treblinka, where (almost) no one got out alive. It is with the utmost respect that I read these books and try to imagine (I can't) the horrors that so many lived (and died) through, all at the hands of so few ruthless cowards. It is also with much humiliation, sorrow, and deep respect that I devoured Mr. Rajchman's book. It's difficult to comprehend the extent to which people go to in the name of hatred. The extreme pain they can inflict on other humans. In Mr. Samuel Moyn's Preface to this book, he says, "Throughout The Last Jew, the prose is factual, made all the more devastating for its exquisitely controlled rage at the crimes he is describing. By the end, his anger has already crystallized in resistance and flight for the sake of life and memory". Conclusion - I highly recommend everyone read this book. It will change your life, as hard to stomach the "human" behavior is.